My year is ending with a flurry of super, fun school visits. In kidlit, there are few things more rewarding than sharing a book that you (and your author and publisher) have labored over (usually in solitude) with a group of kids, and experiencing their reactions first hand. As you can see above, I had a pretty good time earlier this week sharing You Are Not a Cat! with a bunch of kindergarteners. During this visit, I also made a funny discovery about the case cover I painted for the book. Yes, this is the same case cover that won an Undies Award last month…yippee! Maybe everyone else realized this right off the bat, but you know…sometimes you are so deep in a project, you can't see what you've done. All I have to say is, DUH! So, it's a costume too! 2017 starts off with the release in late January of Magnets Push, Magnets Pull, my third collaboration with David A. Adler, and the lovely folks at Holiday House. I'm hoping to share a short trailer for the book in a couple of weeks, so stayed tuned. Our previous collaborations were Junior Library Guild Selections, and I think this one is the best yet. And I just turned in first sketches for our fourth book about light waves—the official title and release date, still to be determined. I've learned so much while illustrating this series. Not bad for a kid who had absolutely no interest in science growing up. April 2017 also brings the release of If I Were a Kangaroo written by Mylisa Larsen and published by Viking Children's Books. Earlier in the year, I'll be sharing a bit of the art, in addition to a trailer. Last but not least, I am about to start sketching a new picture book—my third with the wonderful Candlewick Press. Speaking of trailers, I love making them (here's a sample) and would be happy to help other illustrator and authors who have no idea how to go about it. But more on that in a few weeks. In the meantime, I wish you and yours Happy Holidays, and a very happy and healthy new year! UPDATE: YOU ARE NOT A CAT! won an Undies Award in the "Best Cliff's Notes Version". Thanks to everyone who voted! Check out the other winners here. Several months ago, librarians extraordinaire, Carter Higgins and Travis Jonker, decided that case covers—the oft-hidden jewels of art found underneath book jackets—deserved greater attention. In a stroke of creative brilliance, they created The Undies Case Cover Awards and asked creators and fans of children's books to nominate their favorites. 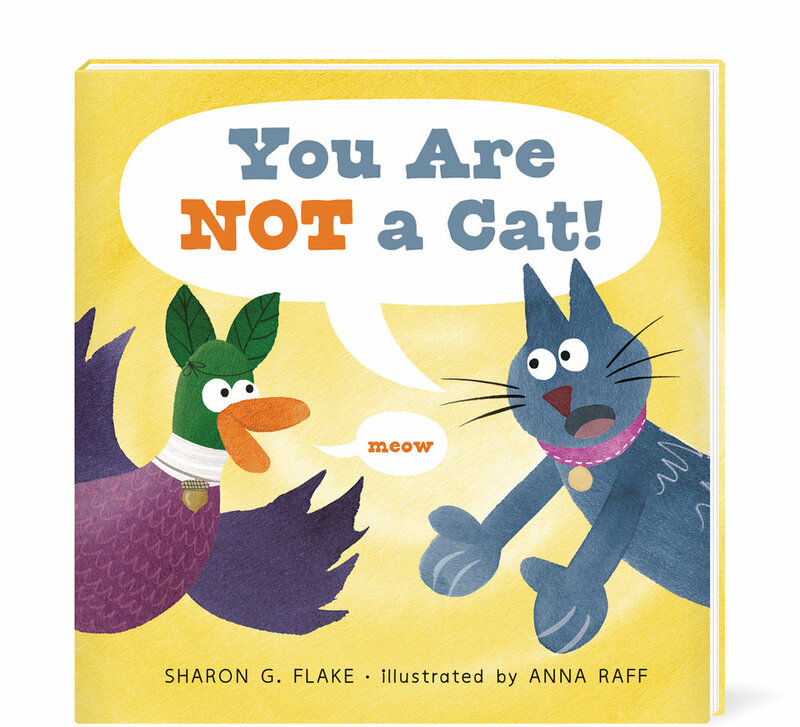 I'm thrilled to share that YOU ARE NOT A CAT! is a finalist in the "Best Cliff's Notes" category, and is listed among some of my favorite picture books of the year. If you're curious for more information, and to cast your vote for your favorites, you can do so until 5pm on Monday, November 28, 2016. Just click here for a ballot.